Hey, Optimus Prime — say hello to your motherboard for me. Michael Bay has officially confirmed that the star of Transformers 4 will be Mark Wahlberg, who worked with the director on his upcoming crime tale Pain and Gain. 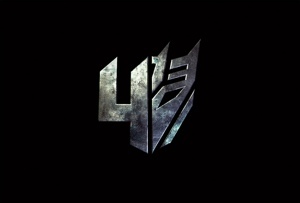 The Transformers sequel, planned to debut June 27, 2014, also has a sleek new logo based on the Decepticon insignia. “Mark is awesome. We had a blast working on Pain and Gain and I’m so fired up to be back working with him. An actor of his caliber is the perfect guy to re-invigorate the franchise and carry on the Transformers’ legacy,” said Bay. Last week, the director denied rumors that he was looking to have Wahlberg take over the blockbuster robot franchise from Shia Labeouf, and said he was considering him for another film — not in the Transformers franchise. Jadi, kita tunggu saja apakah Transformer 4 ini muncul dengan wajah baru. Kita tahu bawa Mark Wahlberg punya karakter khusus ketika membintangi beberapa film seperti Shooter, Max Payne, dan terakhir ini Ted.